↑ Kostof, Spiro (1985). A History of Architecture. Oxford: Oxford University Press. पृ॰ 9. आई॰ऍस॰बी॰ऍन॰ 0-19-503473-2. ↑ Gloag, John (1969) . 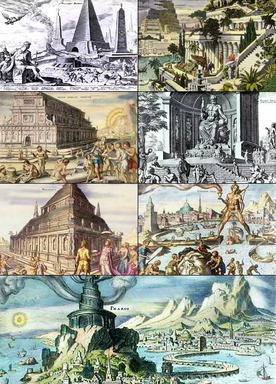 Guide to Western Architecture (Revised संस्करण). The Hamlyn Publishing Group. पृ॰ 362.